Direct Freight – Make your loads available anytime, anywhere. Direct Freight Services, one of today’s leading load boards now has a new app! The new app lets drivers search for loads from Direct Freight’s extensive loads database right from the comfort of their favorite mobile devices. The database has more than 300,000 loads daily that can be filtered to weed out the ones you’re not interested in and return only relevant, potential loads. You can search and filter by a variety of preferences including origin, radius of origin, destination, ship date, full or partial size, trailer type (dry van, flatbed, reefer, step deck/single drop, double drop, van & vented, curtain van). The returned results can be sorted by age (newest), pay rate (highest), deadhead (shortest), trip length (longest), origin city (A-Z), origin state (A-Z), destination city (A-Z), destination state (A-Z), trailer type, load size, weight ship date, credit report, and company name. By customizing with your favorite filters and sorting your results, you can find just what you’re looking for with just a few taps. 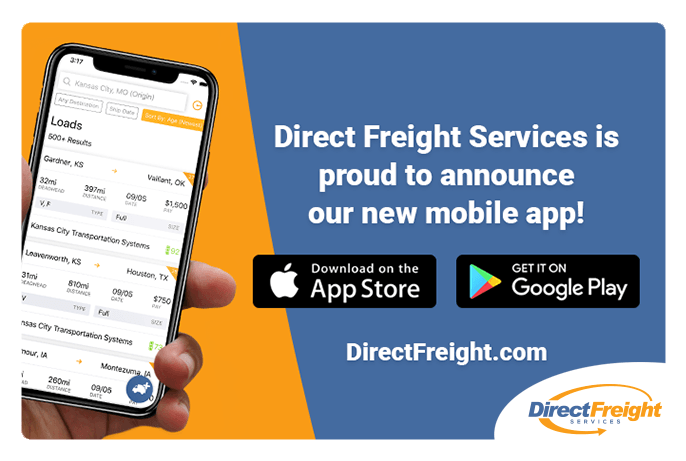 Until now, Direct Freight was available on mobile devices by accessing the website but the new app streamlines everything to run more smoothly and efficiently on Apple and Android smartphones. Each screen within the app is clear and easy to navigate. Posting your truck is simple and quick―simply input your origin, destination, trailer type, and the dates that you’re available and let the shippers find you. You can also include your vehicle’s length, width, height, maximum weight, and any special comments you’d like to make. No more sifting through loads that are already taken. Direct Freight updates its loads in real time so you’ll always get current information. When searching for loads, it’s difficult to know who to trust. Unfortunately, there are scammers, dishonest shippers, and ones who are resistant to pay. The new Direct Freight app has the same helpful credit score feature that is found on the Direct Freight website. You’ll know exactly who you’re working with, reducing the risk of getting scammed. Along with detailed information on freight brokers and shipping companies, you can also see how long each shipper takes to pay so you can avoid the ones that are slow to pay if you choose. Reviews are also available. Once you’ve found a shipper that you’d like to contact, there’s no looking up numbers and trying to remember them, just call them directly from the app! Owner/operators and carriers who rely on Direct Freight to find loads or post trucks know what an invaluable tool it is for the success of their business. The app is available on the App Store and Google Play and can be used with an existing Direct Freight account. If you don’t have an account, you can sign up in the app or on the website. Finding loads has never been easier than with the Direct Freight app. To find out how Direct Freight can help you find the right loads and keep your trailer loaded go to DirectFreight.com today. Nobody enjoys sitting in traffic, breathing in fumes, inching along at tortoise-with-a-limp speeds. Traffic congestion is an increasing problem in the U.S. and is responsible for fender benders, pollution, and missed appointments, not to mention lots and lots of swearing. Traffic congestion is much more than an inconvenience or an annoyance. 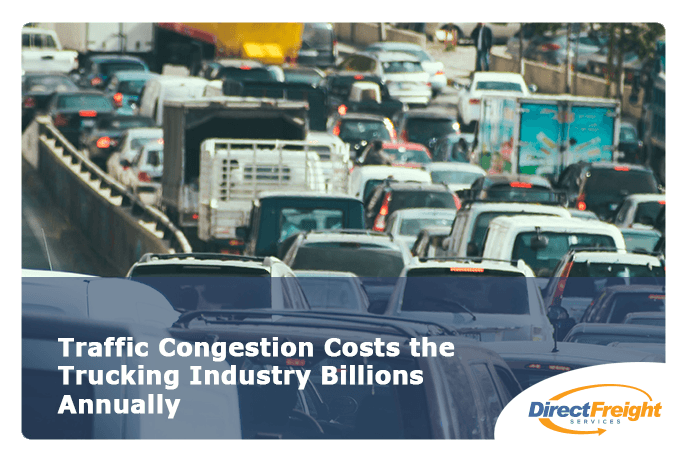 According to ATRI (American Transportation Research Institute), traffic congestion added $49.6 billion to the costs of doing business in the trucking industry in 2014. For truck drivers, it’s not just a matter of burning through fuel, it causes problems delivering loads on time, increased wear and tear on trucks, and decreases the number of loads that can be taken, along with those ballooning fuel costs. With the ever-growing population, and companies like Amazon driving a consumer expectation of two-day deliveries, more and more trucks are joining the traffic every day. It’s a multi-faceted problem and its solution is equally complex. Adding more lanes to roads and highways may be inevitable but big government road construction projects that increase capacity for vehicles have become politically unpopular in an era where global warming has demanded we decrease carbon emissions. Additionally, the results of these big road projects can be unpredictable. Boston’s Big Dig project which took 16 years to complete, cost state and federal taxpayers $15 billion. By moving the interstate underground, drivers heading to the airport and those in the downtown areas saw some congestion relief, but drivers coming in the city from any direction still face daily stop-and-go traffic. In fact, it’s been observed that when these road projects are complete, more drivers flock to these roads and abandon the alternative routes that they’ve been taking to avoid the original traffic resulting in congestion all over again. There are numerous things that cities can do to help ease traffic instead of or in conjunction with road projects such as carpool programs, incentivizing public transportation, creating truck-only lanes, replace tolls booths with high-speed toll sensors, and use moveable median barriers to reverse lanes during peak hours. While we look to government solutions, we must also look to truckers and trucking companies to take an active role in solving the problem. The trucking industry has been focusing on technology to find better routes for trucks to minimize the amount of time spent sitting in traffic. Fill those deadhead miles. Deadhead miles are return miles with an empty truck. Look for return loads so you’re not driving an empty truck. Fill up. The fuller the tank, the better the mileage. Avoid idling. Turn the truck off whenever possible. Cruise along. Use cruise control when it’s safe. Trucks are designed to run efficiently this way. Keep the truck maintained. A well-maintained vehicle uses less fuel. Get regular oil changes, A/C checks, tire condition checks, and wheel alignments. Keep tires inflated. Regularly check tire pressure to make sure tires are not under- or over-inflated. Don’t speed. The optimal speed for saving fuel for trucks is 65 MPH. Take it easy. Speeding up and slowing down unnecessarily can eat up fuel. Regulate speeds. Limit A/C usage. At lower speeds, open windows cause trucks to use less fuel than the A/C does. Be more aerodynamic. Make sure that the roof-mounted air deflector is adjusted so air flows over the trailer. Use the right technology. The right route-planning software can help truckers plan the most efficient route. Direct Freight Services allows truckers to not only find loads but it also provides tools to deliver those loads as efficiently as possible. By using the load board to fill return miles, deadhead miles can be minimized. The Direct Freight website also provides information on hazardous weather conditions that can slow delivery times, and the turn-by-turn truck-specific routing can make sure you avoid traffic without getting lost. To see how Direct Freight can improve your fuel usage, go to DirectFreight.com today! It’s no surprise that the trucking industry is booming. E-commerce has made it easier than ever to find and purchase anything that businesses and consumers could possibly imagine. The constant thirst for things brings the growing need for shippers and carriers. For shippers to do their job effectively, they need to be like an octopus with many arms working independently. One arm to find a dependable carrier. One to negotiate rates. One to make the arrangements and another to track shipments and make sure they arrive on time. And several other arms to deal with any breakdowns, slowdowns, or other emergencies. That’s why, as the industry grows, more and more shippers are employing the services of independent freight brokers. A freight broker works as a middleman between the shipper and carrier to ensure that the delivery of the freight is on time and on budget. 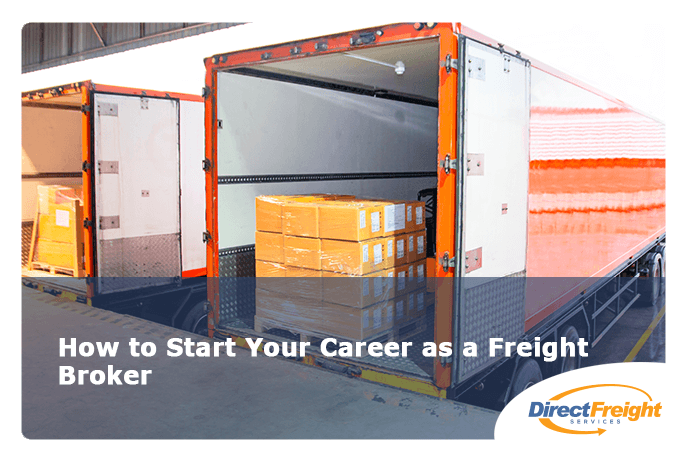 For a motivated, self-starter, the freight brokering business can be a rewarding and lucrative career choice. While a background in the trucking industry is helpful to understand the business it can provide a boost from the start with already-made contacts. However, not having that experience is not a deal-breaker. Even industry outsiders can become successful freight brokers if they’re dedicated to learning the business. Get some training. There are lots of online or classroom classes available to teach the freight brokering business inner workings. By doing some training, you can hit the ground running instead of learning as you go. Register Your Company. You must register as a business or fill out a DBA (Doing Business As) form. You can register as a sole proprietor, a partnership, corporation, or a limited liability company. The differences between them can be found here. Make a business plan. Lenders will need to see a business plan before they provide any kind of financing. A business plan also works as a helpful guide to steer you through your business’ the beginning stages. Insure yourself. Obtain the required general liability and cargo insurance. Most shippers won’t do business with an uninsured freight broker anyway, but you also need it before you get your freight broker license. Get your freight broker license. You’ll need to obtain a USDOT or MC number and register with FMSCA. To do so, fill out an application with the Federal Motor Carrier Safety Administration, or FMCSA. More information can be found here. Obtain a surety bond. This is a type of insurance. It guarantees that carriers will be paid for their work and that as a broker, you will follow the rules. Freight brokers are required to have at least $75,000 in a surety bond. Get a legal process agent. This is an FMSCA requirement. There needs to be a legal process agent in every state you do business in case you are sued in that state. Get money. You’ll need start-up money to begin operations. If you don’t have your own money, you’ll have to open a line of credit with a bank. Equip yourself. You’ll need a computer, printer, copier, fax machine, phone (landline and cell), office supplies, and an internet connection. Make a website. You need to begin marketing to clients right away so make sure your website looks great, has pertinent information, and is easy to navigate. Once you’re all set up and legal, you can get to work. Just like the real estate agent’s motto is “location, location, location”, a freight broker’s motto is “contacts, contacts, contacts”. A successful freight brokerage relies on its contacts, quantity and quality. If you have a background in the transportation industry, you may already have a wealth of leads to pursue. Ask people you know where they work. Look for companies in your area that ship products. Another great way for a freight broker to build their contact list is by using a load board. DirectFreight.com is an easy-to-use load board that allows you to find trucks and carriers. It also has useful tools such as mile calculators, fuel price data, and other useful features. Call Direct Freight Services today at (888)894-4198 or go to https://www.directfreight.com/home/ to sign up. With DirectFreight, your freight broker company will have the tools it needs to become a success. Freight brokers serve an integral role in the trucking industry today. They are go-betweens. Consultants. Negotiators. Problem-solvers. They perform all the necessary tasks to move freight from shipper to destination as quickly and efficiently as possible, all while solving any problems that pop up along the way. So how do they make a profit? Freight brokers earn their money by moving freight cheaper than the shipper is paying to ship it. Successful freight brokers don’t simply pick a bottom-of-the-barrel carrier to create the biggest profit margin. They negotiate the best price they can with carriers who have reliable trucks and reliable truckers. Breakdowns and truckers who don’t show up can be a costly risk, so good freight brokers find carriers who put the money into their equipment as well as their employees. 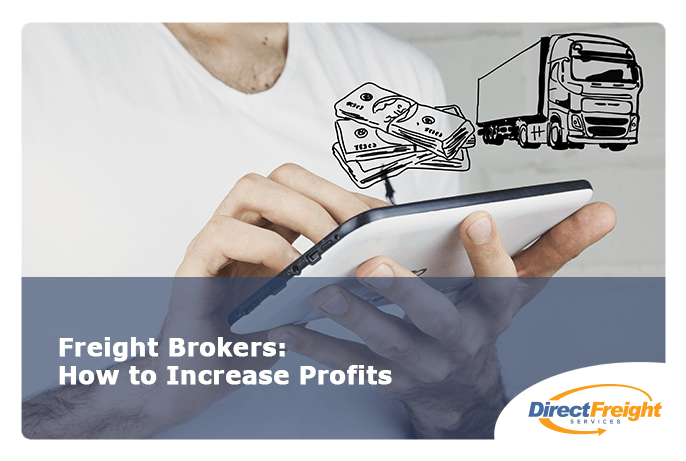 There are other ways freight brokers can increase margins. The world is better-connected and smaller than it’s ever been before. Sure, setting up operations in another country may be an extremely intimidating prospect, with foreign regulations and the currency exchange. However, it could be relatively easy to find an untapped market abroad. Always be on the lookout for leads. Freight brokers should always be on the lookout for more leads, and ways to generate new leads. Targeting advertising using social media outlets like Facebook, Twitter, and LinkedIn can significantly increase a freight broker’s reach. Writing a blog or guest-writing for an established company can develop leads. Invest in an effective website. Websites don’t merely tell potential clients who you are. What good is that information if no one sees the website because it’s lost in a sea of other sites? A professional web designer can create a website that has effective SEO (Search Engine Optimization) so that when potential clients search for freight brokers, your website makes it to the top of the search results. Adding content such as blogs or videos will help improve SEO on an ongoing basis. Invest in things that will bring you the highest return on investment. This could be anything from advertising to nurturing current relationships. For freight brokers, it’s all about the contacts. Look for online communities, groups, and forums. Join trucking industry groups like the ATA (American Trucking Associations) or NASTC (National Association of Small Trucking Companies), or think outside the box and join your local chamber of commerce or other local groups businesses that need to ship freight. Diversify your client list to include both small and large companies. If you only have a few large companies that you work for, you’ll be losing a big chunk of revenue if you lose a client. All relationships are vital to a freight broker, and no matter if it’s a carrier, an individual driver, or a shipper, listening is key to keeping them. Ask questions about shipments, concerns, or even personal getting-to-know-you type questions and listen to the replies. A personal touch helps to build a trusting and long-term relationship. Honesty goes a long way too. Use the best freight management software. Tools like Direct Freight Services make tracking shipments simple and can easily fill those deadhead miles or fill in gaps in coverage. If you’re a freight broker, Direct Freight Services can help you grow your business. It has helpful features like a convenient carrier app, email and text alerts, load posting, truck searches and you can even use Direct Freight to manage all your loads, even ones that aren’t posted on our board. Direct Freight Services is a valuable tool to add to your Freight Broker’s toolbox. Go to DirectFreight.com and check it out today. 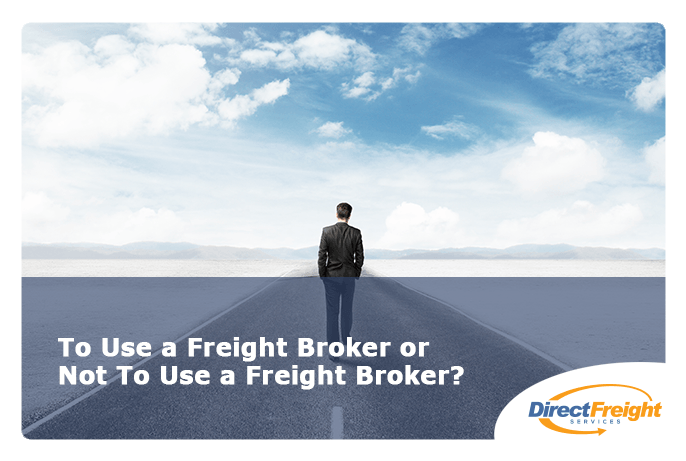 That may not have been the question that Hamlet had in mind, but for shippers, the question of whether or not to use freight broker services is an important one. It can make a significant difference in their business’s operation and success. Freight brokers are the trucking industry matchmakers. They act as liaisons between shippers and carriers and are in charge of getting freight from its origin to the destination. Managing shipments is a time-consuming job. Finding reliable carriers, ensuring timely pickups and deliveries, negotiating rates, finding return loads so resources aren’t being wasted on deadhead miles, and sending/receiving payments are the expected tasks that need to be done when shipping freight. What about the unexpected? Breakdowns, accidents, missing payments, drivers quitting are just some of the countless things that go wrong on the road. Freight brokers manage this and more. They move freight, put out any fires that pop up along the way, and procure payments. Companies use freight brokers so they don’t need to do this time-consuming job and can focus instead on other aspects of running their company to make it successful. Using a freight broker to handle shipments can be a way to expand operations. Large companies often have an entire shipping department dedicated to shipping tasks. For smaller or mid-sized companies, having all those resources devoted to just shipping isn’t financially feasible. A freight broker is paid for the freight shipped so using a freight broker is usually cost-effective. Freight brokers use the latest technologies like real-time dashboards that track shipments all along their routes. By using a freight broker, freight shipping companies don’t have to invest in these technologies or worry about upgrading and maintaining them. Freight brokers know which carriers are reliable and trustworthy. They’ve built relationships with carriers that are going to make their jobs easier, which saves money because there will be fewer problems on the road. Good carriers hire reliable people, maintain their vehicles properly, and are fully insured. Freight brokers are scalable. If there’s a sudden increase in product orders, a freight broker will be able to quickly adapt by using their contacts to increase shipments. This is particularly important for companies whose products are seasonal or during fluctuating economic times. Freight brokers are experts in the shipping industry so their clients don’t have to be. There are few cons to using a freight broker. For some people, handing shipping duties over to a broker is out of the question. These are people who need to maintain complete control over all operations. This is why it’s so important to find the right freight broker, one that can be trusted to handle everything thoroughly and efficiently. Due to the industry growth and potential to make decent money, there are numerous new and inexperienced brokers jumping in all the time, which could be costly. 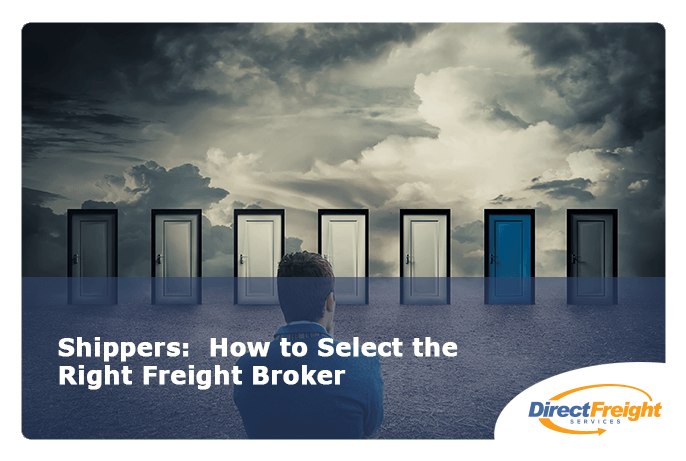 New freight brokers may not have the same access to reliable carriers as an experienced broker which could result in slow shipments, breakdowns, etc. The best freight brokers are licensed with the Federal Motor Carrier Safety Administration (FMCSA) and should have a membership with the Transportation Intermediaries Association (TIA). They’ll also have a good rating with the Better Business Bureau and extensive field experience. No matter what your answer to the question of whether or not to use a freight broker is, Direct Freight Services is an essential tool for posting loads and finding trucks. With features like load organization, and weather reports, Direct Freight can make shipping freight run like clockwork. Go to DirectFreight.com to find out more. As the April deadline approaches, most Americans are buried in receipts and tax forms to avoid overpaying their taxes. The growing tax code rules and regulations could make even Einstein pull his hair out. Tax code rules reached over 6,550 pages in 2017. There are numerous standard deductions available for freight brokers, shippers, and truckers. These deductions help reduce taxable income. A change beginning with 2018 tax filing, the personal standard deduction was raised to $12,200 for individuals. It has risen to $18,350 for Head of Household and $24,400 for married couples who will file jointly. It is beneficial to use standard deductions if itemized deductions are a lesser amount. There are no standard deductions for businesses. Business expenses can continue to be Form C deductions. Examples of business deductions are insurance, licenses, office supplies, travel expenses, professional fees (such as accounting fees, load board subscriptions, etc. ), advertising, phone, loan fees, retirement contributions, and vehicle leases. Depreciating Property deductions include office equipment like computers, copiers, and printers. It also covers trucks, trailers and other heavy equipment. A frequently missed deduction is casualty losses. When a truck is involved accidents during the previous year, the associated expenses are deductible. Contributions to an IRA, SEP, or 401(k) are tax deductible. While most companies make it easy to invest in retirement by offering 401(k)s, it’s more work for the self-employed. Banks, credit unions and financial planners will help set up a retirement plan that will plan for the future but allow for tax savings now. For the self-employed, a big portion of taxes goes to self-employment taxes. People who work for a company have a portion of their Social Security and Medicare paid by their employer. Self-employed workers are responsible for paying these in full which is 12.4% for Social Security and 2.9% for Medicare. Keeping meticulous business records is key to lowering taxable profits. Doing so will free up money to invest back into the business. Hiring a tax preparation professional is a good idea for shippers, drivers, or freight brokers. Errors or missed deductions may cost more money than a professional tax preparation fee. Due to the tax code changes it’s wise to consult with someone familiar with the new changes and the trucking industry. Direct Freight Services provides a cloud-based platform to post and search for loads as well as have access to credit reports, weather reports, alerts, and other functions to help your business grow. Direct Freight provides an easy way to post and find loads, and the $34.95 monthly subscription fee is a business deduction. Visit DirectFreight.com and get started today! The last few years have brought a boom in the e-commerce sector and with it a huge increase in the need for affordable shipping for small and medium businesses. These businesses have products that need shipping that exceeds the limits of parcel delivery but doesn’t quite warrant an entire 18-wheeler. This is where LTL comes in. 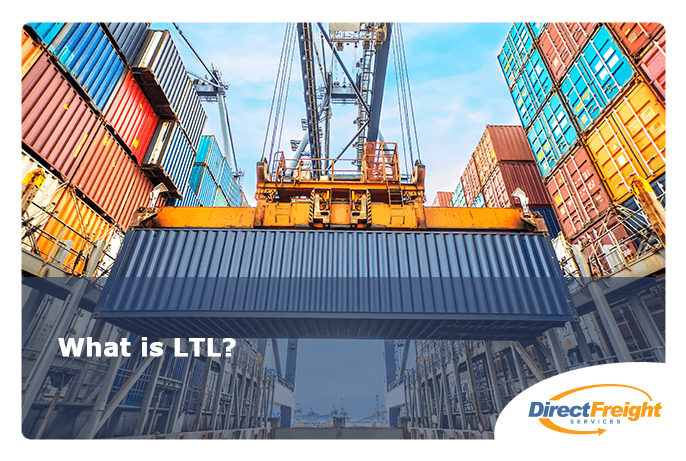 LTL is a term used in the trucking industry that causes some confusion for people new to shipping their goods. “Less Than Load”, or LTL shipments, are more than 150 lbs. but won’t fill a tractor-trailer truck which is usually between 26 and 53 feet long. Parcel carriers such as the US Postal service, UPS, and FedEx ship smaller packages and for larger shipments, LTL is used. (UPS Freight and FedEx Freight are LTL shippers.) For the largest shipments when the shipment will take up the entire truck, FTL, or Full Truckloads are used. LTLs generally range from 150 lbs to 10,000 lbs but there are some carriers that may accept larger shipments. They may also be under 150 lbs when the items to be shipped are lighter but irregularly shaped or large and would be difficult to ship via parcel post. Carriers often look at what would be most cost-effective for the customer. The fastest way to ship something is using an FTL. FTLs are direct shipments and the difference between using those versus LTL is like the difference between using an express elevator or an elevator with several people getting off on different floors. LTLs have more than one customer’s goods on the truck which saves money, but the more stops they have to make, the longer the shipment will probably take. LTL carriers have set minimums for the cost of shipping with them. To determine the cost, the carrier will look at the weight, size, value, distance, needed floor space, and if actions are needed such as residential pickup/delivery, inside delivery, or if there’s limited access for delivery. With parcel, conveyor belts are typically utilized which means there’s a lot of shipment handling before it reaches the destination. With LTL, there is less handling involved but there will be other freight on the truck so it may have to be moved around and there’s a chance it will need to be transferred to another truck. FTL gets the least amount of handling but unless its a large shipment, it may not be cost-effective to use. LTL gives companies the ability to ship products quickly and affordably by sharing the ride and costs with shipments from other businesses and includes the flexibility to ship almost anywhere. Direct Freight Services is a load board that allows users to use their mobile device or computer to search for loads and post trucks. 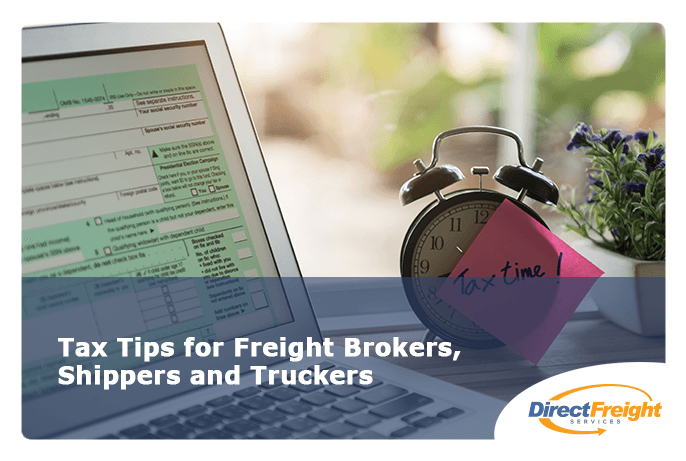 With helpful features like full credit reports, load filtering, when to expect payments, and broker authority information, Direct Freight is an essential tool for owner operators looking to move freight. Visit DirectFreight.com to find out more. For shippers, freight brokers, carriers, and drivers, a good load board is an essential tool for running a thorough and efficient company. Whether posting all loads or rounding out service areas, the right load board can drive the success of a business. Who Needs a Load Board? Shippers use load boards to find dependable carriers to work with for short term or long term shipments. 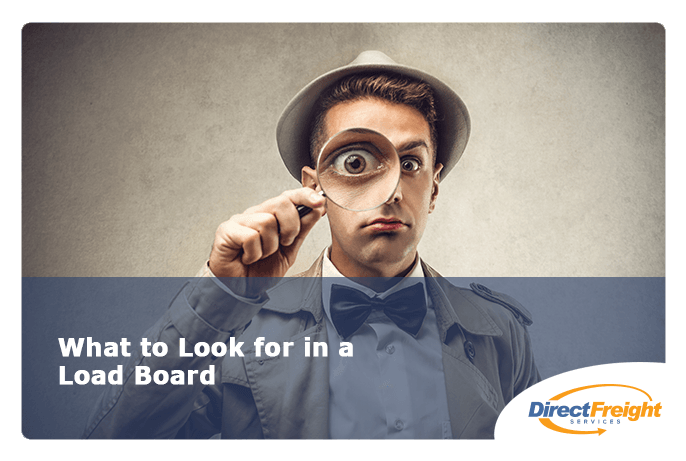 Even for shippers who already have a regular carrier that they work with, a load board can keep things moving if there’s an unexpected increase in shipments or if there are any issues with a current shipper. Freight brokers are only as good as their client lists. This means they need to have many trusted contacts around their service area so they can do their jobs―keep freight moving. Freight brokers rely on load boards to make the connections they need to get cargo from Point A to Point B as safely and efficiently as possible. Even with a large pool of clients and carriers, a load board is a great tool for filling in any gaps in coverage. For carriers large and small, load boards can not only keep trucks rolling but one of their main benefits is filling deadhead miles (return trips) so routes are being operated efficiently without empty trucks driving around. For example, if a carrier ships a full freight load from Boston to Newark, they can search the load board for a shipper who needs to ship from Newark to Boston or somewhere along the route. This not only brings in more revenue but it also makes more efficient use of gas, equipment, and manpower. For truck owner/operators, a good load board is the key to running an operation. A load board provides vital information on available loads such as origin, destination, trailer type, load size, weight, company name, and pay rate. Some of the better load boards include credit reports so drivers know who they’re working with and when they can expect to get paid. It should be easy to use. Load boards don’t need a lot of bells and whistles to be effective. They should have a simple, easy-to-use interface that doesn’t require excessive clicks to locate the load or truck databases. Web-based is best. Web-based load boards are always up-to-date, loads are posted in real time, there’s no costly software to buy and update, and they can be accessed from anywhere, even on smartphones and tablets. Look for load boards that offer an app to streamline the process so it will always be on your phone. Avoid “free” load boards. Free load boards rely on ads for revenue and they don’t always have the same security in place that paid sites have, which can open users up to fraud. They also aren’t as driven to have the most up-to-date technologies that paid sites do. It should have useful features. Things like current fuel prices, location and destination, cost of tolls, weather reports, a mileage calculator, credit reports, and load filtering can streamline services and simplify the process. Alerts are important. Being alerted when trucks are available or updates on loads saves time. Text or email alerts give users an edge over those who need to spend time searching the site looking for updates. It should have a free trial. Most good load boards are confident in their product and will let users give it a try before they commit. Trying out several free trials gives users the ability to find a load board that has all the features they’re interested in. As the old saying goes, “Time is money” and any time that freight sits on a loading dock waiting for a driver costs money. A good load board makes all the difference. Decisions can be made quickly and confidently and the time that freight is waiting to be delivered is minimized. Direct Freight Services is proud to be one of the leading load boards in the country. They’ve been matching shippers and carriers since 1997 and have developed a load site that makes the process quick, easy, and effective. Loads or trucks can be posted on the site for free but the subscription price of $34.95 allows the user access to ancillary features such as credit reports, route planning, weather conditions, text and email alerts, and other features that give a custom experience to every user. Visit DirectFreight.com today for a free 15-day trial subscription and see what Direct Freight Services can do for your business. Freight brokers are an important link in the consumer goods supply chain. They’re the go-betweens linking supplier with destination, bringing freight that needs to be shipped to its final destination. They not only connect shipper with carrier, they take care of negotiations, deadlines, payments, and solve any problems that may occur en route. Using a freight broker is not a necessity in the shipping industry but many shippers prefer to because doing so gives them more time to concentrate on the daily functions of their business and less time on shipping details. Those details can be many and the road can be unpredictable (breakdowns, weather, unexpected traffic) so how do you know you’re choosing a freight broker that can handle it? The answer: Do your homework! Check credentials. They should be licensed through the FMCSA (Federal Motor Carrier Safety Administration). You can go here to find out if they are. Through the licensing procedure, they will be required to be bonded and insured. The insurance is for property damage and the bonding is to protect you from fraud or other illegal activities by the broker. Look for a broker with experience shipping the types of freight you have and experience shipping to the areas you need it delivered. They will better understand the challenges of your sector of the industry. Make sure they have the right insurance. Just because they’re insured, it doesn’t mean you’re going to be covered if there’s a problem. They should have general liability insurance as well as adequate cargo insurance to cover the freight they’ll be shipping for you. Ask about their procedures for vetting their carriers. They’ll be entrusting them with your goods so make sure your potential broker does his or her due diligence to make sure that drivers have plenty of experience, are fully insured, have excellent safety records, use well-maintained, reliable equipment, and if they have enough trucks to handle the job. Look at other certifications and affiliations. Most good freight brokers will be part of the TIA (Transportation Intermediaries Association) and you should check their standing with the Better Business Bureau as well. Check the technologies they use. They should be using a thorough tracking system that uses GPS to track shipments in real time. They should also use up-to-date billing software. After you’ve signed a contract is not the best time to discover they do their bookkeeping in pencil in a ledger and send out handwritten bills. Run a credit check. Avoid brokers with bad credit. You don’t want someone with liens, bankruptcies, or who are slow to pay to be the one in charge of negotiating your deals and paying for your shipments. Be completely clear with them on the What, Where, When, and How of your shipping needs so the broker knows if he or she can handle the job. Look for experience in the industry. Freight brokering is a growing field so many freight brokers are new but the longer they’ve been in the business, the more contacts and relationships with carriers they’ll have. Check references, preferably ones in your area who ship similar freight to yours. Be sure to ask pertinent questions about the broker’s ability to make on-time deliveries, how the broker handled any problems, and how satisfied they are with the freight broker. Find out if they work internationally. You may only ship in the States now but what happens if you get some new customers “across the pond”? If your broker only works nationally, you may have to go through the whole vetting process again for international shipments. Save yourself some time and go with one that will help your company grow. Look for good communication skills. Your freight broker and dispatchers will be negotiating and dealing with customers on behalf of you and your company. They should be clear, articulate, friendly, and knowledgeable. Get it all in writing. Make sure that when you find the right freight broker, you get a detailed written contract. Taking the time to find the right freight broker is well worth the extra effort. After all, you’re entrusting them to make a fair deal and to get your freight to where it needs to go safely and efficiently. Direct Freight Services is a vital tool used by shippers, freight brokers, and carriers alike. It includes a thorough, easy-to-use and up-to-date load board that keeps freight on the move. Sign up today at Directfreight.com and see you Direct Freight can start working for you! In the U.S., the demand for licensed truckers has never been higher. With the shortage of truckers expected to climb to 175,000 by the year 2024, now is the perfect time for anyone in search of a good-paying job to enter the trucking industry, especially women. Traditionally, driving a truck was considered a man’s job and attracted few women. Fortunately, times are changing, albeit at a snail’s pace. According to the Bureau of Labor Statistics, in 2017, 6.2% of truckers on the road were women, up from 4.5% 15 years ago, a small number when you consider that women make up 47% of the total U.S. workforce. The trucker shortage combined with women looking for good-paying jobs is the perfect recipe for a female explosion in the trucking industry. And why not? Women can be a huge asset to any shipper. Men cause 6.1 million vehicle crashes per year while women only cause 4.4 million. Men are more willing to take risks than women which means their accidents are typically at higher rates of speed than those of women, who usually get into accidents at lower speeds causing less damage. Shipping companies that regularly hire women know this, as well as the fact women tend to be better at completing paperwork and better at customer service. Women truckers do so much more than fill an empty truck seat. They are a valuable and virtually untapped resource for trucking companies looking for reliable, long-term employees. How can trucking companies attract more women to their company? As a carrier, attracting more women to your company means valuing and appreciating them and looking at things from their perspective. Your place of business should be professional and welcoming to both men and women. Include women in your recruiting ads. Women should feel the ads are not merely aimed at men because this may be an indicator that women are not welcome. When evaluating your ads include any print or radio ads as well as your presence on social media like Facebook and Twitter. Promote women into leadership roles. Other women will see that women are valued in your company. Offer good pay, benefits, and bonuses. Guarantee time at home. One major reason the trucking industry suffers from a high turnover rate and lack of recruits is the hours away from home, keeping truckers from having a more predictable home life. Many companies are trying to combat this with shorter routes and flexible schedules so employees can have a more balanced home and work life. Have female trainers. Having a female driver on the road with her during her training period may be encouraging. Make diversity training mandatory. Unfortunately, there are still drivers who show little respect for women in the field. Diversity training may help female drivers, but knowing that your company offers this kind of supportive training may attract more female applicants. Understand safety concerns. Safety is a major concern for women on the road, especially for those doing long hauls. Things such as parking in well-lit spaces at truck stops that are open 24/7, always locking the doors, and carrying pepper spray are things that male truckers should do also but may not really think about. Offer seminars and training on how to stay safe out on the road. If the trucking industry is going to be able to keep up with consumers’ hunger for goods, it needs to shatter the stigma of truckers being big, burly men. Actively recruiting women to enter into trucking careers is the obvious solution to the growing trucker shortage and changing the field so it fits the needs of many will bring in more recruits looking to enter into a good career. At Direct Freight Services, we help shippers find carriers to bring loads to their destinations. From short routes to cross-country, Direct Freight gives shippers the tools they need to find reliable truckers to carry the load. For drivers and carriers, Direct Freight’s database of currently available loads will keep your trucks rolling. Go to Direct Freight today to find out more about how this vital tool can help you.